For serious coffee lovers considering a remodel of their kitchen or who have a suitable cabinet vacancy available, a built-in espresso coffee machine might just be a necessary lifestyle addition. 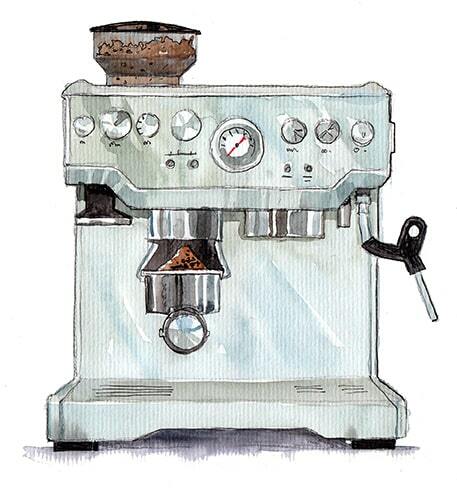 I like to think of built-in espresso machines as the indoor equivalent of a built-in backyard grill. They should flow seamlessly with your existing kitchen design, offer top features and be as convenient as your other standard appliances, like the oven or microwave. The Final Shot: The Bosch Automatic Coffee Machine is the top pick in this range. 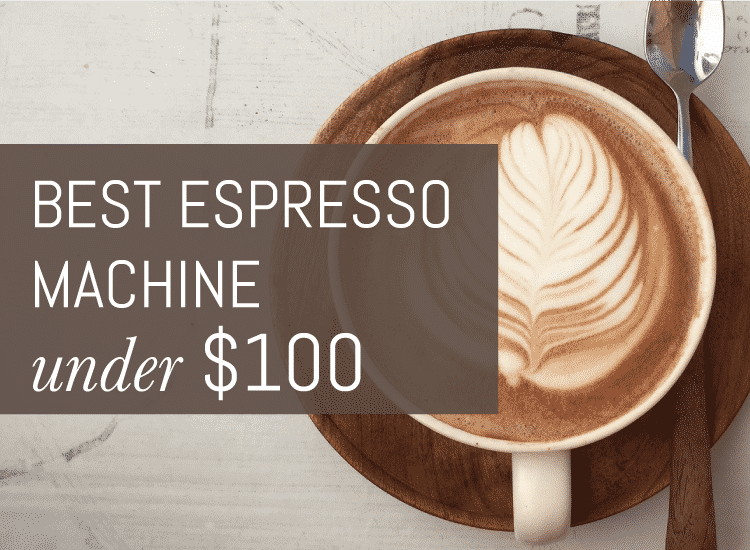 The built-in espresso machine looks great in any kitchen, prepares your espresso fast and has tons of options so you can make any drink you want it. All of the options we selected are high-end models, and they come equipped with all the fully automatic bells and whistles you could dream up. Most have smart programming so they respond automatically to your every preference. I do recommend seeking the guidance of your kitchen designer prior to any building or renovations as these machines all have cabinet specifications and possible ventilation requirements. As with many other types of appliances, German-owned Bosch perfects the early morning coffee ritual with a sleek, stainless steel and feature rich built-in. This model is considered a super-automatic machine, as it handles every step in the coffee preparation process, from grinding the beans to frothing the milk. 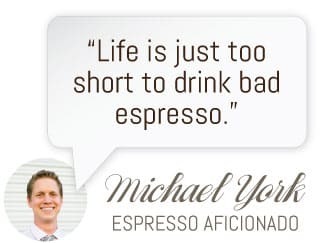 You can think of it as your espresso butler. It comes equipped with a dual chamber built-in grinder that you can pre-load with two types of your favorite beans. The water tank (.625 gallons) is refillable and not plumbed, so this machine doesn’t require professional installation and you don’t need to run a water line. The Silent Ceramic Drive Grinding system is designed to minimize sound, so even the bean grinding is low decibel and non-intrusive, with settings for both light and dark roasts. It also comes with sensors to measure the amount of ground coffee following each cycle. The OneTouch Double Cup feature allows you to brew two beverages simultaneously so you’re not competing with your partner for a latte while they’re itching to make an Americano. Bosch includes the option to pull a single or double shot, as needed for each drink and you can further adjust settings for temperature, strength and size. This model is capable of brewing up to 12 types of beverages and the touch screen display is as easy to use as any smart phone. You can also store up to 8 family members’ favorite drinks with customized strength, size and temps settings and initiate a one-touch system so brewing to everyone’s personal preference is fast and easy. For drinks that require steamed milk, you can store milk in the integrated canister for up to 8 hours. Bosch also includes an automatic cleaning, milk steam-rinsing and de-scaling function so you don’t even have to be hands-on with the maintenance of the machine. By far my favorite feature of this built-in is the Home Connect app that allows you to initiate the brew cycle for your favorite coffee beverage remotely from your phone. This means, you’re just waking up in bed and can have your Americano brewed and ready for drinking by the time you make your way to the kitchen. What a time to be alive, folks. This is a really stunning, high-end espresso maker that ticks every box for convenience, automation, quality of the end drink and durability. Like the Bosch, the Thermador built-in is a luxury fully automatic machine designed to act basically, like your own personal coffee concierge. It has settings to craft 9 different coffee beverages, including lattes and cappuccinos, all with the simple touch of a button. You can also store up to 8 favorite drink settings with temperature and strength settings so you don’t have to enter your preferences each time you’re ready to enjoy a drink. The height-adjustable dispenser allows a ton of flexibility in fitting all cups sizes, from shot glasses for single serving espressos to travel mugs for a latte as you’re heading out the door for work. You also have the option to brew two drinks simultaneously so no one has to wait for their morning fix. Built-in sensors alert you to when the integrated grinder and the refillable water tank are low and need to be topped off. The milk frother is integrated into the unit and requires no skill on the part of the user; the Thermador handles it from start to finish. There are also dual spouts, one for coffee and the other for the frothed milk for perfect integration. Cleaning, de-scaling and rinsing are built-in functions that run automatically so maintenance is as hands-off as the actual brewing process. I also love that this machine comes with a color screen and push button controls that are super intuitive and easy to use so you don’t need to read the manual to be able to run it. The overall design is also really sleek, modern and minimalist. It’s all stainless steel and is meant to integrate seamlessly into any modern kitchen. Smeg is known for making nostalgically retro appliances, but they also make high-end built-ins and this fully automatic is another great example of Smeg functionality and aesthetics in a modern package. Like the Bosch, this model is fully integrated with a built-in grinder and a removable water tank (no plumbing here either). It features settings to adjust the coffee intensity, from extra light, light, medium, strong and extra strong. The coffee temperature is also adjustable at three different levels for a more customized brew. The Smeg will also make either two drinks simultaneously, though all frothing requires some user input in filling the milk canister each time you wish to make a cappuccino. This is not as functional as the Bosch in terms of the range of drinks it can whip up for you, you’ll need to stick to straight shots, regular coffees, Americanos and Cappuccinos. No lattes or macchiatos here. It does include an integrated cleaning and rinsing function, which is great for keeping the experience as hands-off as possible. The LCD display is a little more old school and doesn’t offer nearly the programming options or the great connectivity as the Bosch or the Thermador. The Smeg is a little more pared down and without all the technological bells and whistles. Gaggenau delivers a stylish and minimalist alternative to the other options on our list with their 200 series. This coffee machine doesn’t have all the bells and whistles of our top ranking Bosch, but it offers beautiful integration into your kitchen and an automatic process that is smooth and hands-free. Like all the other options on our list, it has a built-in conical grinder and a detachable refillable water tank. It also has a second container for a decaf or alternative flavor in case you want to switch between bean types. The milk containment system is integrated and doesn’t need to be refilled on a schedule, so you can froth up a latte every morning for a week without having to restock the frothing container. 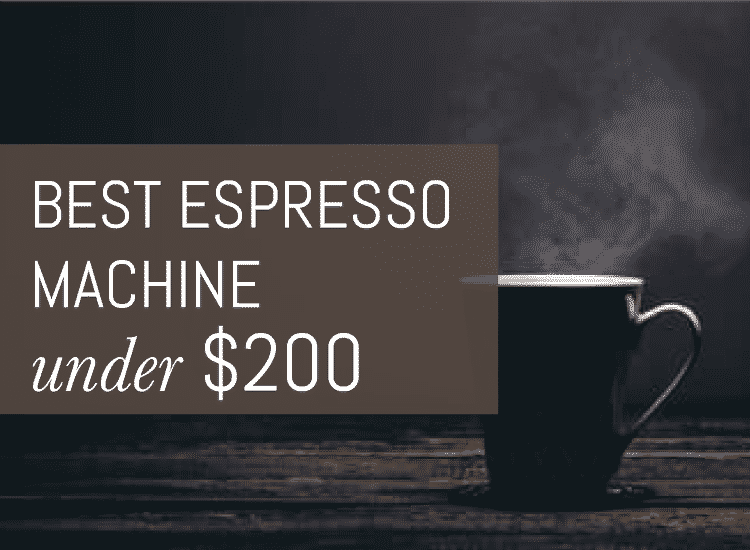 The 200 series offers 6 levels of coffee strength, 3 levels of temperature, as well as a range of grind level settings that you can customize to the bean. The dispenser is height adjustable to fit a range of cups and can also accommodate brewing up two coffees simultaneously. The continuous flow heater ensures there is no wait time and your machine is maintained at a constant brewing temperature. Aroma brewing technology enhances the aroma of the coffee using optimized infusion during the extraction process from the grounds. This machine is also smart and can store up to 8 of your favorite beverages, using the knob-controlled mini screen to toggle through the different options available. Cleaning is simple with automated de-scaling and an integrated rinse system and an optional built-in warming drawer is a great bonus feature for storing cups and other accessories. The Jenn-Air built-in is another solid pick for an integrated, fully automated coffee experience. I consider this machine to be on par with the Gaggenau and Smeg in terms of features and quality, and slightly lower tech than the Bosch or Thermador. Like all the other machines here, it comes with a built in grinder and a refillable water tank. It will brew both coffee and espresso beverages and can handle a range of bean roasts. Overall strength of the brew and temperature are both adjustable. The frothing system has an integrated milk container and the dual spouts are adjustable for cup height and can be used to pull two shots at once. Frothed milk can be used to make cappuccinos, but drinks like lattes and macchiatos aren’t supported. The Jenn-Air also offers an LED lit control screen with side push buttons. It doesn’t support storing personalized drink options like most of the machines on this list, which is why it ranks a bit lower. It does offer time programming, but no Wifi connectivity for app activation. Cleaning and de-scaling are handled internally and can be automated just like the other machines on the list.